So many people including myself are intrigued by the Beauty Blender . Is it because it looks like a hot pink egg but it’s for your face? It’s just a sponge right? Wrong, it’s the most amazing sponge you’ve ever seen! Believe me I was skeptical before trying it too, but now I don’t ever apply foundation without it. 2 // It makes hard to reach areas such as under the eyes, around the nose, and corners of the mouth easy to get to with the small pointy end of the sponge. 3 // You can use it for any type of face makeup like foundation, concealer, blush, bronzer, and powder. 2 // Squeeze all the excess water out of your BB so it is left damp, not soaking wet. You can also use a towel to squeeze out the water. 3 // I prefer applying foundation directly to the large end of the BB, but you can also dot the foundation around your face and start that way. 4 // Start applying the foundation by using a “bouncing” technique, almost as if you are bouncing a ball off your face. Do this over your entire face until completely covered. This makes for a natural effect with no lines or streaks that you sometimes see with other applicators. 5 // Use the small pointed end to apply under eye concealer as well as blemish concealer. Use the same bouncing technique for these areas as well. Don’t drag the BB along your face. 6 // You can also apply blush, bronzer, and powder using the BB and the same technique. 7 // After you finished using your BB for the day rinse it under the sink again and set it out to dry until your next application. It will shrink back down to it’s original size. There are many dupes for the BB but none are quiet the same, check out my review of The Real Techniques Sponge. You can purchase the BB online here or at your local Sephora. What is your favorite way to apply your makeup? Any questions about the Beauty Blender ask in the comments below! Follow along on Instagram + Facebook. I’ve been hesitant to use a BB or anything alike. I bought a fairly good one just an hour ago and came across this blog. Thanks for the tips, I’m looking forward to trying this method out on this old face. LoL. Let me know how it works for you! I love using my BB, I’ve had great results with my skin looking pretty flawless while using it, vs using a brush. Love that real technique bb. Thanks for showing us how to use it the right way. Absolutely! I love the Real Techniques sponge too, a very comparable dupe to the Beauty Blender! I followed all the directions with the damping but when I dampened it it started rubbing off on my face ( like lint balls on sweaters) can you help me or is it a flaw with the product??? Hmm, that sounds weird. Did you make sure you squeezed out any access water in your Beauty Blender before applying your foundation? If it’s too wet it won’t work correctly. Also make sure your foundation isn’t old or expired. That almost sounds like something could be wrong with the product. Even if you just bought it, sometimes makeup is left on the shelf for a long time until it is bought even if it is out of date. Try shaking it up before using it as well. I had the “balling” issue with a specific brand of liquid makeup, so that could be the issue. Yea that could totally be the reason for the “balling” issue. I’ve never had that happen to me. Make sure you are getting your beauty blender really damp and squeeze out the access water. If that doesn’t work, try using it with a different foundation. You’ve just taught me a better way to use my beauty blender. I have never dampened my sponge before, but I can see how it would make it so much more effective. I’m excited to try it using other make up, too (like blush). Thank you! Awesome I’m so glad! Using it damp changes everything. You will love your Beauty Blender way more now I promise! Great info here! I own a beauty blender and really like it, but I never fully wet it. What I’ve done is apply a layer of foundation with a brush, dampen the sponge with a tonic spray and blend it in, which works great but it is one extra step I may need to go without. I am going to try this way, it could save me some time in the morning…thanks! Yea definitely try it this way! It’s easy to do and doesn’t take a lot of time. It blends out foundation pretty quickly! Let me know what you think! Where can I find a beauty blender ? You can find them at Sephora, Amazon or Makeup Geek. I provided links in my post to shop! Found mine at Wal-Mart also….works great and paid 5.62 ! That’s awesome! I’ve never been lucky enough to find a dupe for the beauty blender that I thought was as good. The Real Techniques sponge comes pretty close tho! Glad you found one! Don’t be rude…. “If you see make-up, it’s an amateur move.” That is why we have these articles, so people that don’t know can learn without being judged. Also, before you judge, check your grammar! Oh I’m sorry I wasn’t being rude at all, or judging anyone. I was just quoting something that was said on the Beauty Blender website. 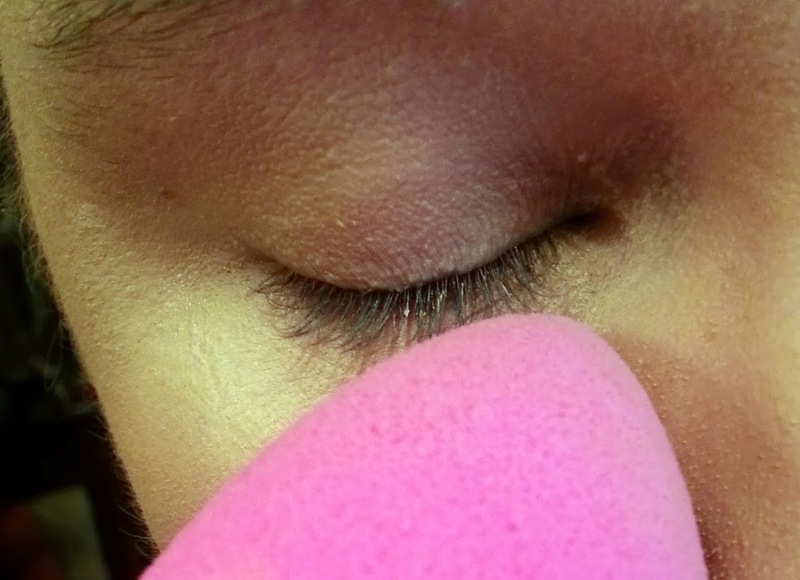 “Seeing make up is the first sign of an amateur application.” –Beautyblender.net. My blog is here to help anyone that is new to makeup or someone who wants to learn more. It was not my intention at all to hurt anybody’s feelings or disrespect you. Thanks for your feedback! Also, thank you for visiting my site and I hope you come back again soon! Why shouldn’t you drag the beauty blender? I’ve seen people do it both ways, but I’m just curious. :) thank you! Great information! I have s BB but forget to use it. I have a liquid foundation but a compact bronzer and a loose translucent finishing powder. How do you use the BB with the bronzer and finishing powder? Thanks for your help! Can you use it with the foundation powder to? 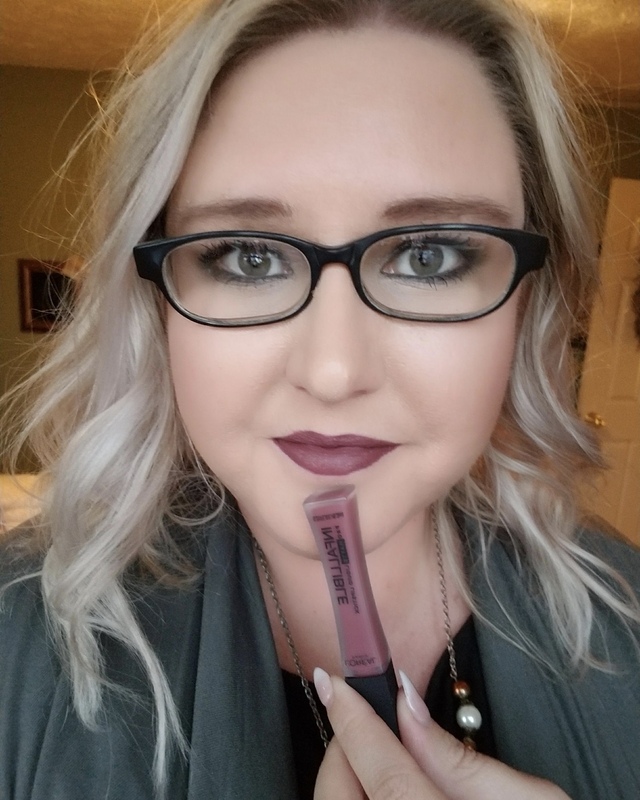 I’ve only used dupes – being cheap…but my results were not flawless at all. I think I’m finally ready to spend the money and try the real thing. You definitely have me very excited about it! Great post love! Hey, you what’s funny. I bought one early last year and threw it out. It wasn’t what I expected. Until the BB’s were all over the place here in Manila! Now, I wanna give it another go. The problem is, I haven’t seen anyone using it for a BB cream. They’re all using it for foundations. The thing is, I am not fond of using foundation for everyday use, just my preference. Have you tried to apply it with just BB cream? Would gladly appreciate your response. Thanks for this article! You learn something new everyday…lol. Maybe I will use foundation more now? I hate the feeling of having a mask on all day, the main reason why I never wear it. I just use powder. But I’ll definitely try this Lil guy. We learn something new everyday… that’s a good way to put it! Yea definitely try this out and see what you think. Foundation is sheered out more when you use this so it won’t feel like a mask! Can you use the sponge on cream to powder makeup? Yes absolutely, just dip the sponge into the compact and apply like normal. It works perfect for that! Thanks for your tips on the Beauty Blender! I definitely want to try this! I clean my bb with blue Dawn dishwashing liquid when out of the bb cleaner. Doesn’t take a lot with warm water. Wow I bet that would work great!! When cleaning and before using the beauty blender,are we supposed to use warm or cold water? When you clean it I would definitely use warm water, it will kill even more bacteria that way. I am working on doing a post about cleaning the Beauty Blender so stay tuned for that. When you wet it before you use it you can use either cold or warm it doesn’t matter! Do you dampen it before applying powders (i.e., blushes, powders)? Yes always dampen it, with powders or liquids… it works much better! Hi there. Great post! I looked around and couldn’t find the post on how to clean the BB…did I miss it? Also, are there generic versions because mine doesn’t seem to work that well. Maybe I’m just used to the usual makeup sponge. Yes I am doing the post on cleaning the Beauty Blender very soon, it will probably be in the next couple of weeks because I have other posts planned. So please be on the lookout for that! There are other versions and there aren’t many that are as great, but I am doing a post about another one soon! I also make sure to clean mine once a week with bare minerals brush cleaner. It works great getting it clean and restores it. I have no buildup whatsoever. Also I’ve found that the swissco dupe is the same thing and half the price. It would be nice to hear you talk about how to properly clean this sponge. There are many skeptical people out there who do not want to use this because of the bacteria that grows and stays in the center of the beauty blender. Even when thoroughly washed with the provided cleansing bar, the bacteria still stays trapped in the sponge. I hate reading about the issue revolving around how bad these sponges can actually be for your skin because I love the way it applies makeup. However, it is a serious issue with this product. Your thoughts? I have been using the BB all wrong! I did not know it works best when damp!? Thank You Anna! I will definitely change my method (using it dry) and use your correct technique starting now! Thanks again for your easy directions & lesson on proper use! Haha aww, I’m so glad you stopped by! Now that you are going to use it wet, you will see such a huge difference!! Thanks for sharing how to use a beauty blender. Stopping by from Hump Day and couldn’t resist checking it out. It was not what I thought it was going to be when I saw the word “blender” but it looks like it would work great and looks like it would make applying foundation easy! Haha yea it’s an interesting little character! But it really does make applying foundation and other products so easy and gives a flawless look! I’ve never heard of this before. I wonder how it would work with Bare Minerals? I would love it if my bronzer would blend a little better, so this might be the tool for me. Thanks for linking up with Hump Day Happenings! Oh yea it definitely comes in handy! I use it all the time!